A Northamptonshire Police officer has been charged with murdering his wife. Otis Goldsmith, aged 49, is accused of murdering his 49-year-old wife Jill at their home in Wootton Hall Park on Thursday. 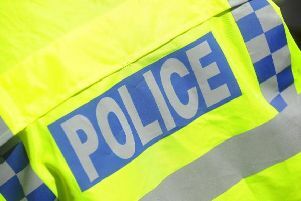 Goldsmith, a detective constable who has served with Northamptonshire Police for 28 years, appeared at Corby Magistrates’ Court this morning and was remanded in custody. He will appear at Northampton Crown Court on Tuesday, March 31. A police spokesman said this morning a post mortem examination had established the cause of Mrs Goldsmith’s death as a head injury.